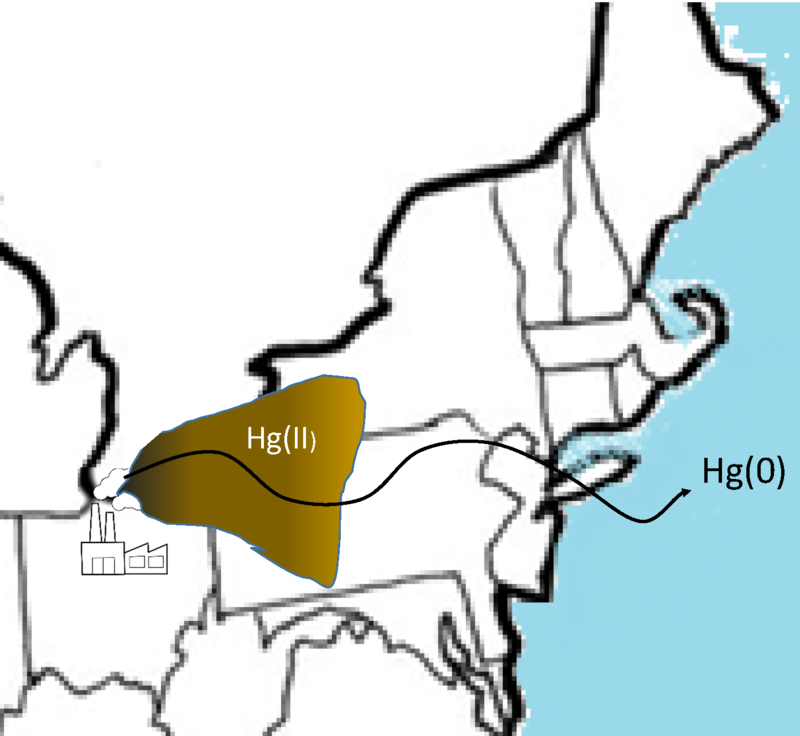 Atmospheric Chemistry of Mercury Mercury is emitted to the atmosphere mostly as gaseous elemental mercury (Hg(0)), but is transferred to ecosystems mostly as Hg(II) compounds. Ignorance of the mechanism and kinetics of oxidation of Hg(0) to Hg(II) prevents modelers from reliably predicting when and where mercury enters ecosystems. We have have used chemical intuition and quantum chemistry to unravel much of the oxidation mechanisms. We are using experiment and computational chemistry to determine rate constants for modelers to use. Students working on this project benefit from interaction with Dr. Huiting Mao at ESF, who carries out modeling and field work on mercury. 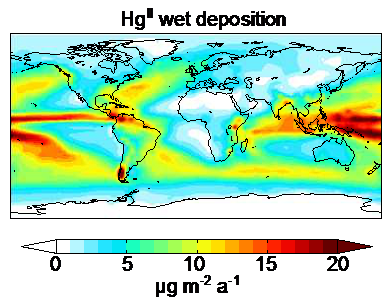 Mercury Emissions and Environmental Fate of Mercury A significant amount of mercury is emitted to the atmosphere as Hg(II) compounds in the gas or particle phase, but we don't know the identity of these compounds. We are setting up experiments to fill this huge gap in our knowledge, and are considering how to investigate mercury chemistry inside power plants. We are planning experiments to determine how the fate of Hg(II) compounds in the water and soil depends on their identity and environmental conditions. Biofuel Researchers have achieved a molecular-level understanding of the kinetics of combustion of fuels derived from alkanes, but not for radicals likely to be formed from biodiesel fuel (esters of long-chain fatty acid). Also, smaller bio-derived compounds are being considered as fuel components, but their combustion properties are not yet understood. We collaborate with other researchers to do combustion experiments, kinetic modeling, and computations to enable prediction of combustion properties of future fuels. 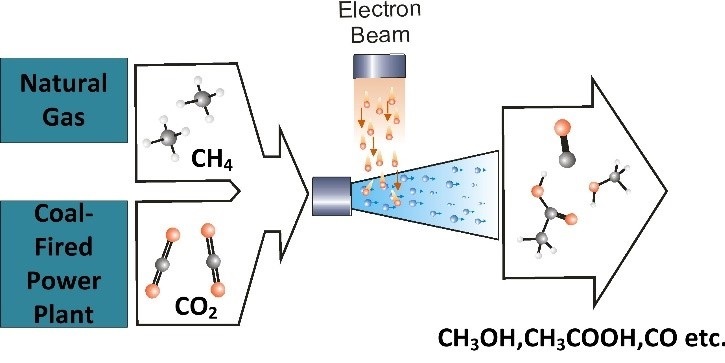 Electron Beams for Degradation of Pollutants. Irradiation of air with electron beams can be used to remove pollutants (X-rays pass right through air). We use various analytical techniques to determine the degradation efficiency, identify the degradation products, and infer the mechanism. Additional insights are gained from in-situ spectroscopic monitoring. Kinetic modeling is used to understand factors controlling degradation efficiency. Electron Beams for Production of Commodity Chemicals from CO2 What are we going to dow with CO2 captured at power plants? One answer is to use it to produce useful products. We are building kinetic models of irradiation of mixtures of CO2 and CH4 to see what products can be made (e.g., methanol, acetic acid, etc.). We are working with a company that plans to test this concept, and use their results to improve the model.